What’s a man to do after the Coast Guard shoots up his boat, sinks it, and leaves him for dead off the coast of Maine? Inthe 1920s, at the height of prohibition, options are limited. Emmett Dougal, fisherman and rumrunner, feels it best to put some distance between him and his recent past, returning to his Puget Sound roots to start afresh. But home isn’t what it used to be, and Emmett finds himself embroiled in adventures of love, larceny, and organized labor. Despite this best efforts, life as an honest fisherman doesn’t pay what it needsto, and Emmett finds himself tempted back into the dangerous trade of rum running. The local police and the feds may be at odds with each other, but both have an unhealthy interest in prohibition and the men who break the rules. An excellent glimpse into the 1920’s Pacific Northwest with a twist of adventure and romance. There is a keen balance to Blaine Beveridge’s novel A Bit of Candy in Hard Times. The story opens and closes with Emmett Dougal swimming for his life from the wreckage of his livelihood. First in the waters off the coast of Maine and then in Washington’s Puget Sound, each time Dougal is suffering the consequences of his actions as a bootlegger moving liquor across the US border with Canada. 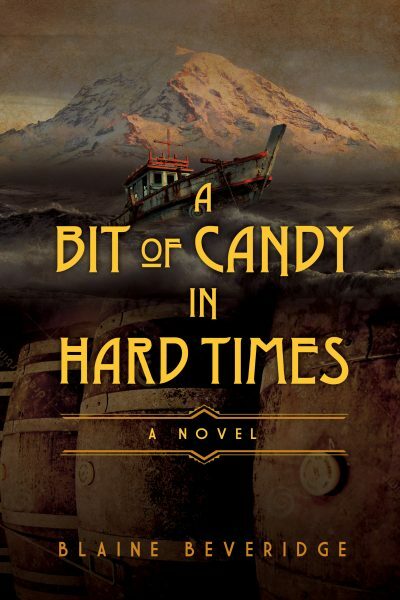 A Prohibition Era novel (1920s), A Bit of Candy in Hard Times is well researched historical fiction while also being a wonderful bit of modern local-color writing as Beveridge captures the Pacific Northwest in vibrant detail. Lovers of the television series Boardwalk Empire as well as those who enjoyed David Guterson’s novel Snow Falling on Cedars will find Beveridge’s novel engaging and palpably unaffected. Dougal crosses the country like a tramp looking to get himself back on track after a violent encounter on the Maine coast puts an end to his prospects there. We learn his isn’t much of a homecoming due to his history of political agitation in the area (that is, being part of the IWW, the socialist movement that won us all the minimum wage and work week we take for granted) which has created a deep schism between himself and his island sheriff brother. Dougal makes a life as fisherman alongside an aged captain and an ethnic outcast, an Indian named Angel. In begrudgingly revealing his past to his employer after being hounded by him and his daughters, we see a man who represents the exact reason why Prohibition was enacted. The grand irony, of course, being he now works for a man who’s fortune is based on illegality. With both Dunne and Dougal’s family relation to family, we realize this historical context is one first and foremost of social welfare that’s deeply personal. This is at once a modern lament of a man growing older but when set in a time when there was no Social Security, where men and women literally worked until their death, it takes on a deeply haunting air. This is what is strongest about Beveridge’s novel, the story is deeply and intimately tied to not just its place but the era yet still manages to feel brazenly contemporary. 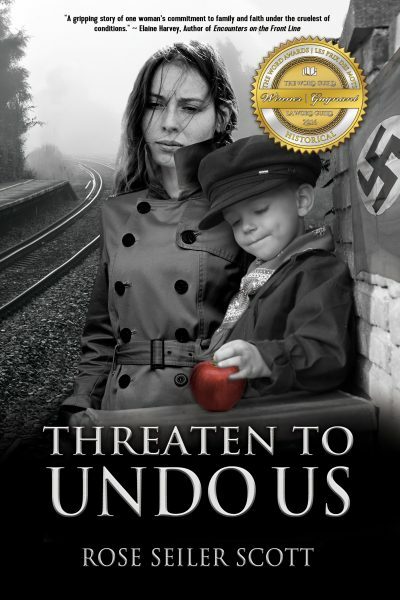 Readers are given compelling characters who due to their circumstances have a moral flexibility mirroring the works of the great Realist writers of the late-19th and early 20th centuries. Beveridge’s website would seem to suggest that A Bit of Candy in Hard Times is the first of a planned Puget Sound trilogy to be followed by Playing Out the Hand and Down, Beat Down. The strength of this first installment will certainly leave readers eager to see more from Beveridge. With a confident voice, an excellent sense of pace, and the cinematic skill of weaving character stories together, Beveridge has not only presented readers with a solid debut but also has announced himself as promising literary talent.